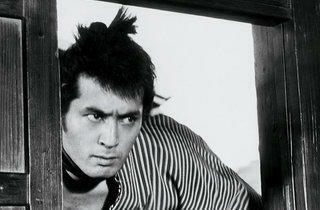 Far from being just another vehicle for Mifune, this belongs in that select group of films noirs which are also comedies. 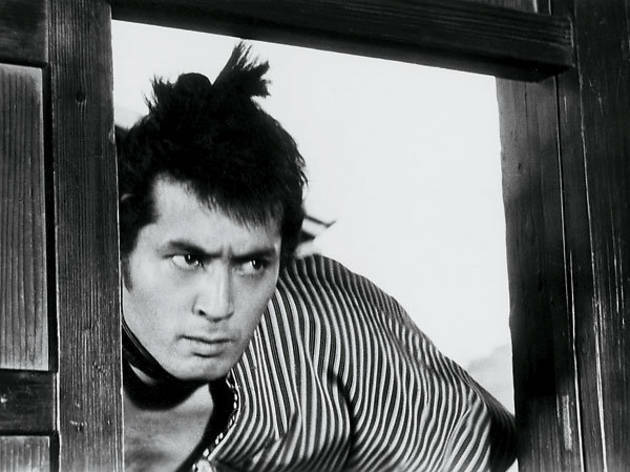 It's not as uproarious as its sequel Sanjuro, but the story of a mercenary samurai selling his services to two rival factions in a small town, and then sitting back to watch the enemies destroy each other, certainly marks a departure from the predominantly sentimental moralising of earlier Kurosawa movies. Ultra-pragmatic, unheroic Sanjuro is the centre-piece: his laziness matches the sleepiness of the town, his quirky mannerisms echo the town's gallery of grotesques, and his spasms of violence reflect the society's fundamental cruelty. If the plot sounds familiar, it's probably because Leone stole it for A Fistful of Dollars.